Life is full of unexpected shifts and challenges; the same goes for business. As you grow through these shifts, your business will be forced to grow too, and if your outlook is properly primed, you can make use of these changes to take your business to wondrous new frontiers. 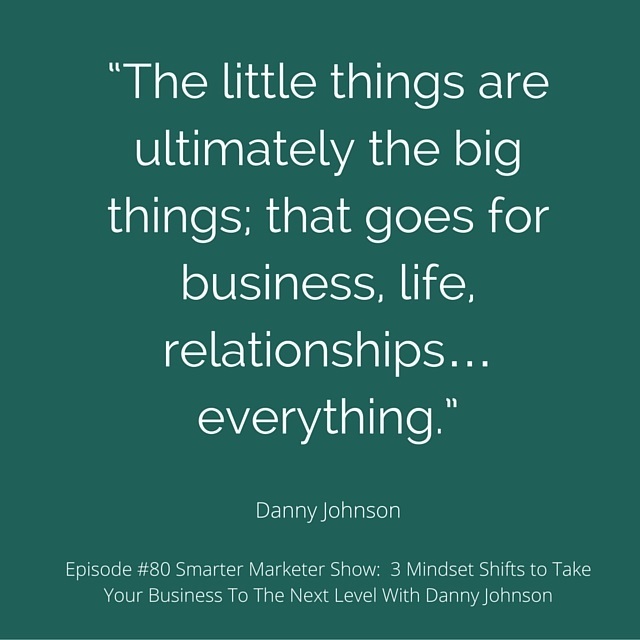 My guest today is Danny Johnson, and she’s successfully navigated this kind of evolution before. As the founder of the Sweaty Betties, she has coached thousands of women all over the world to better health and fitter bodies. However, when her clients started needing help with things beyond fitness, Danny’s approach changed to help them in life and business as well. That’s the kind of versatility you want to possess, as it will help you reach more people at deeper levels than you ever dreamed. Today, Danny’s going to tell you how to do it.